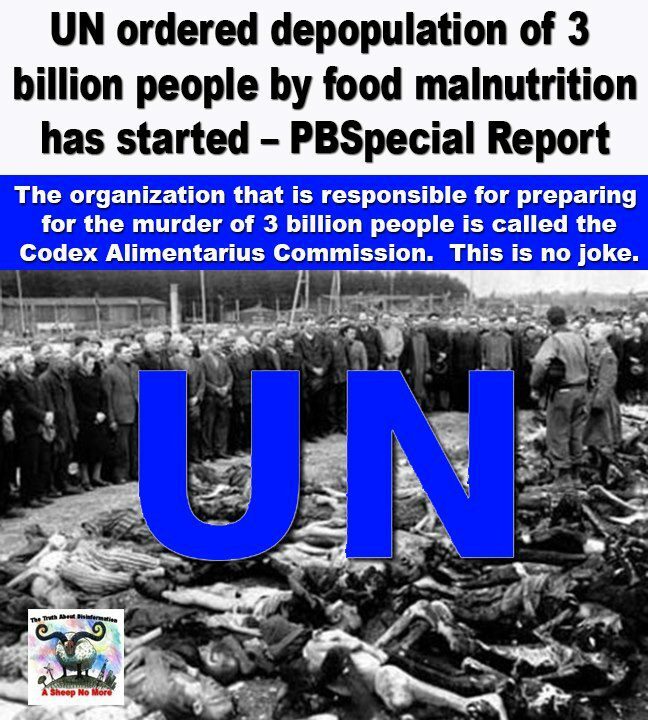 [2011 April] Codex Alimentarius - Will Garlic Become Illegal Under These Vampires? Combating the Codex Alimentarius by Gregory Damato, PhD Billions of people will suffer from degenerative diseases due to poor nutrition and limited access to health supplements if the powerful global corporations behind the new Codex Alimentarius standards are allowed to “harmonise” the world. 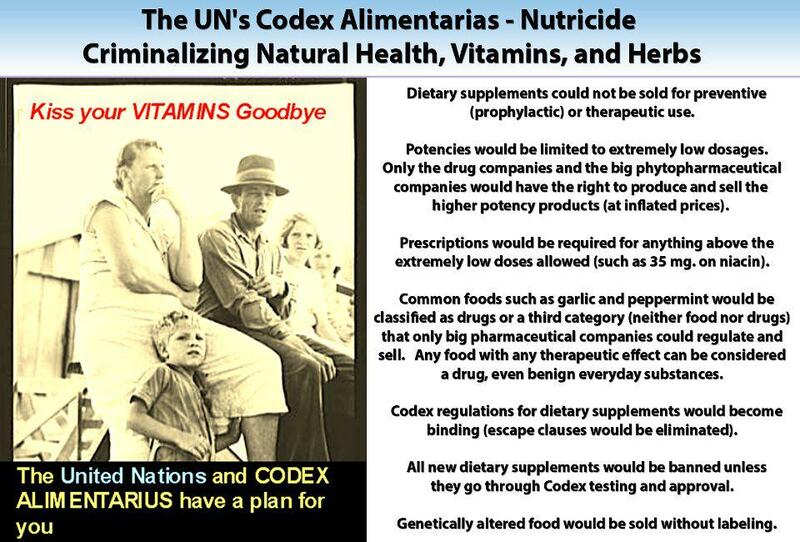 CODEX ALIMENTARIS ENDS U.S. SUPPLEMENTS IN JUNE 2005 By Dr. James Howenstine, MD.